Vacuum formed .250" high density gray polyethylene. Molded-in stacking feature. 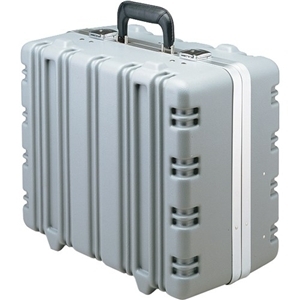 Tongue and groove aluminum closure, chrome-plated keylock latches, padded steel core handle, and lid document pouch. 17/34 X 14 1/2 " X 8"